Gabelli Funds announces the recipient of the Graham & Dodd, Murray, Greenwald Prize for Value Investing at its thirtieth client conference on Friday, May 15 in New York. He is Leon G. Cooperman of Omega Advisors. 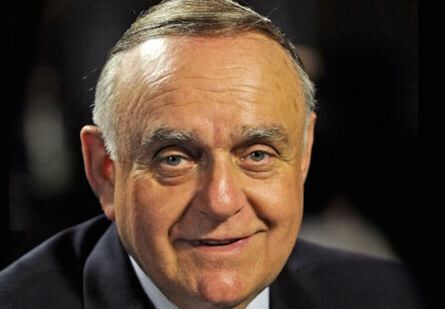 Leon G. Cooperman is the founder, chairman, and CEO of Omega Advisors, a private investment partnership he organized in 1991 where he oversees in excess of $10 billion in assets. Previously, he spent 25 years with Goldman Sachs, where he was a partner and served as chairman and CEO of Goldman Sachs Asset Management. While at Goldman Sachs, Mr. Cooperman was voted the number one portfolio strategist in the Institutional Investor All-America Research Team survey for nine consecutive years. This remarkable accomplishment solidified his reputation as the most incisive analyst on Wall Street. In 2013, Mr. Cooperman was inducted into Alpha Magazine’s Hedge Fund Hall of Fame. Mr. Cooperman received his undergraduate degree from Hunter College, where he has been inducted into the Hall of Fame. He is the recipient of an honorary doctorate of humane letters from Hunter College and an honorary doctorate of finance from Roger Williams University. Mr. Cooperman earned his MBA from Columbia Business School in 1967. Gabelli created the annual prize to honor an individual, student, or practitioner who has made an outstanding contribution to enlarge the field of value investing. Known as the “Gabelli Prize,” the company funded the prize with $1 million and presents the award at its annual client meetings.